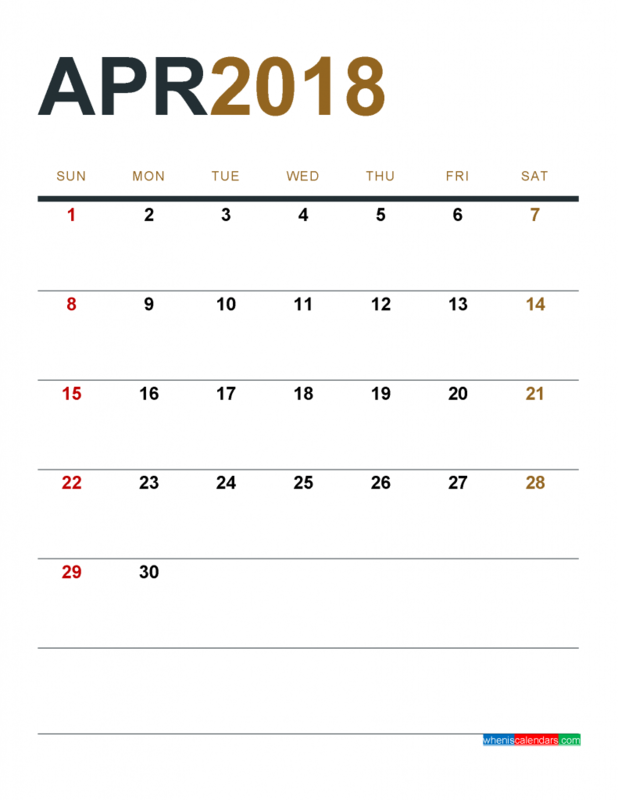 Download free April 2018 Calendar Printable monthly calendar in PDF and Image file (1 month in 1 page), that you can easily edit and print using PDF and image (png) format. This 2018 monthly calendar template has a Sunday to Saturday format and runs from January to December 2018. With this monthly calendar, you need simply to download and print. It couldn’t be easier. To download this calendar, please select the file format below that you want to download, then click the link to save to your computer and print it. Click the link May 2018 Calendar Printable to download next month in may or March 2018 Calendar Printable to download previous month in march for this template. Also you can find all 12 months calendar 2018 in this template through the link: 2018 Calendar Printable PDF and Image . You are finding templates in calendar, business contract, resume or others for your business, home or education. We recommend you to visit Small Business Template that you can download thounsands templates, edit and use as a personal version.